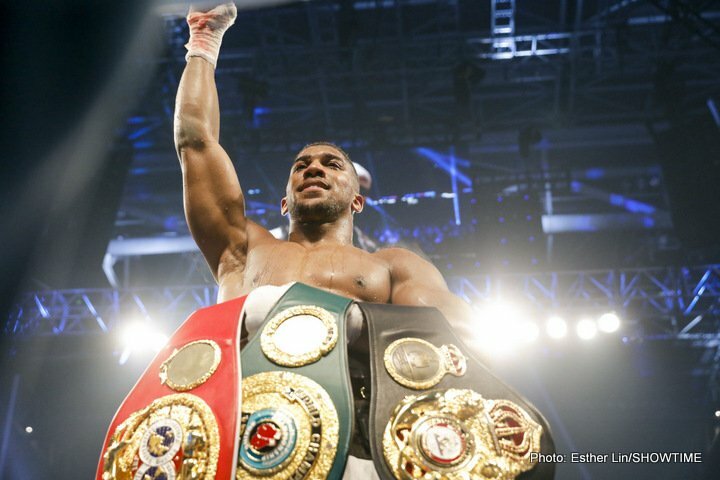 By Scott Gilfoid: Anthony Joshua and American Jarrell ‘Big Baby’ Miller are said to have agreed to terms for a fight on June 1 in New York, according to the Metrol. Joshua’s purse for the fight is expected to be £19.3million [$24.83 million dollars). That’s a lot of money for what amounts to be a glorified mismatch for Joshua. Miller, 30, is said to be getting a purse of £5.41m [$6.96 million]. That number is hard to believe.